North College Park Painting LLC is owned and operated by Juan Romero. He has been painting College Park, Maryland area homes and businesses beautiful since 2000. Several of his family members have joined him to enable North College Park Painting LLC to provide expert painting services to College Park and the Capital Beltway area. Call (301) 970-9738 for a free quote today! Looking for house painting in College Park, MD? North College Park Painting LLC's painters will paint your College Park house and make it look new again. We use proven durable paints than will protect your home's exterior against UV and harsh heat or cold. And we can paint walls any color you'd like, leaving your life brighter and you feeling rejuvenated! North College Park Painting LLC's painters are also expert College Park stainers! 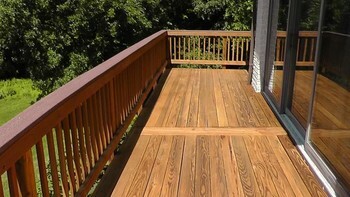 Whether you are looking to have your trim and moldings stained a natural wood color in your Capital area home, or perhaps have furniture or cabinets stained, or even have your College Park deck power washed and waterproofed with a premium UV resistant mahogany or cedar stain, North College Park Painting LLC can do it. Paint your College Park store or office! Painted walls and ceilings slowly dull over time going from the new bright happy look to drab lifeless uninspiring hue. North College Park Painting LLC works with College Park business owners and office managers to send in painters after hours or on weekends so as not to interfere with customers or employees. We've been doing it since 2000. For larger institutions in the Washington DC area, North College Park Painting LLC has enough skilled local painters to paint your facility, regardless of whether its interior painting, exterior painting, or specialty painting, such as painting machines or painting factory floors. Like so many other North College Park Painting LLC customers, you'll be glad you met us. Our work is guaranteed, and your satisfaction with your new paint job is our #1 goal. Premium Professional Painting in College Park and surrounding towns. Licensed, Insured, Proven College Park Painting.